This particular item is for 3 lbs of thicker material. This would include 10 mil, 16 mil, and 22 mil only. 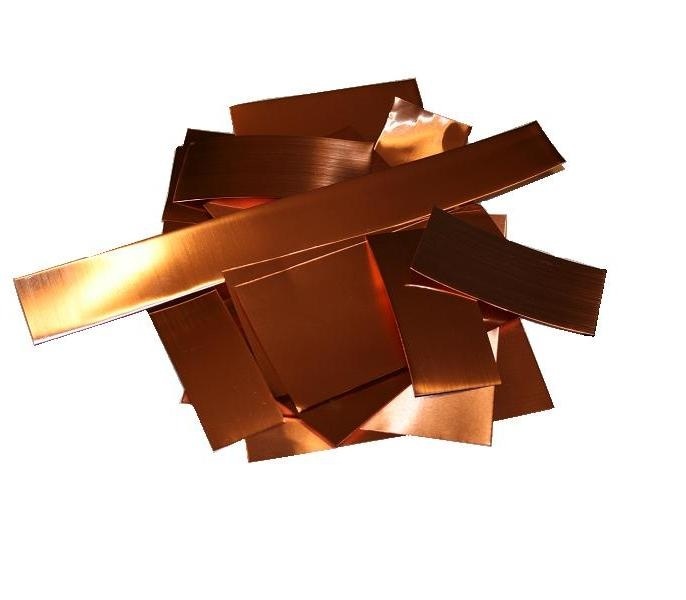 Your order will include 3 lbs of odd-sized or scrap copper. There may be pieces included with fingerprint marks or they may be dented, but many of the pieces are just odd sized remnants with no imperfection at all. No pieces are under 2" long on any side, and most are around the size of postcards or larger.